Ignoring the fact that they misspelt maths, I really enjoyed trying out this website. It is designed to look like a video game, with cartoony characters. 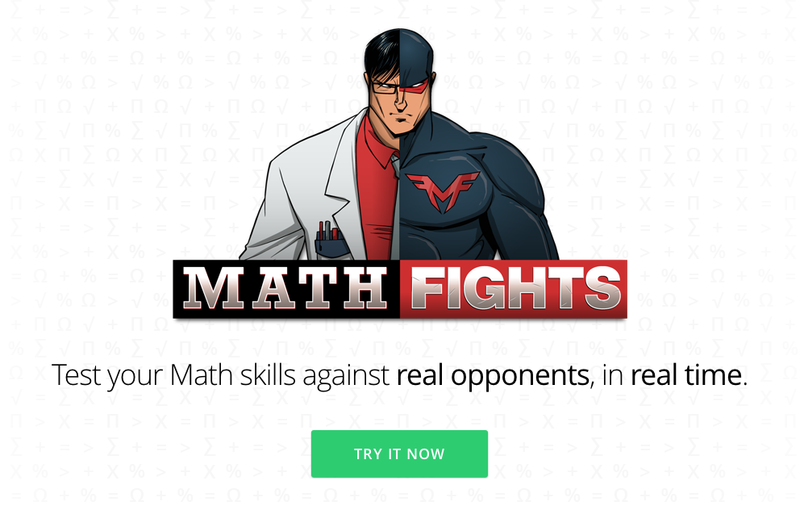 Once you have created your account, you engage in a ‘maths battle’ with other players in real time. The website also allows you to track your progression, helping you to improve your results. You can also earn badges and rewards such as avatars for your profile and tee shirts. Each battle consists of three questions. I think this website would work well with students, especially younger ones, (Elementary to Middle School) because of its format. Also, I think boys especially would enjoy it, because of its resemblance to a video game.